Garage Doors Torrance: Keep your Business Safe with a Rollup! Keep your Business Safe with a Rollup! You never truly know when an emergency will happen, which is just one reason why you should be aware of your surroundings and the decisions you make for your company. 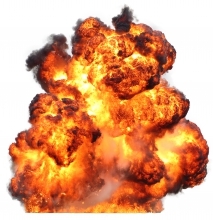 Believe it or not, commercial fires are the leading emergency of every business, which only means that you should be well prepared for one at your commercial building. Although we never want the worst to happen, you should always be aware that it is a possibility. Because of this, rollup fire garage doors are part of our specialty. We want you and your employees to feel safe, so why not give them an extra piece of security for a small price. Rollup garage doors are made of very tough steel that are not only resistant to fire, but they are also a wonderful addition because they help keep burglars from ransacking your business. In both of these instances, you could be stuck with a lot of damage that could have been prevented. 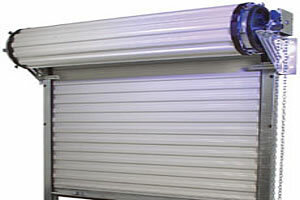 Roll Up doors are very easy to operate and there are various commercial establishments that take advantage of them. From restaurants and stores in your local mall to auto repair shops down the street, there are commercial roll up garage doors everywhere you look. Be part of the pack and get the safety benefits of this kind of garage door you’ve never had before! Visit us online today to learn more about our commercial garage door options that may interest you. Don’t worry, if you’re upgrading, we will remove and recycle your old garage doors free of charge! Get started now!